Picturehouse asked us support them with the UK release of The Lobster; a quirky Arthouse Blockbuster with an all-star ensemble cast including Colin Farrell, Rachel Weisz, Ben Whishaw, John C. Reilly, Olivia Colman, Lea Seydoux and many more. In the world of the film, being single isn’t an option, you are either in a relationship, or you are turned into an animal and released into the woods. We created a series of shareable social content that provided fun, quirky and dark examples of propaganda echoing wartime-era public-service announcements. 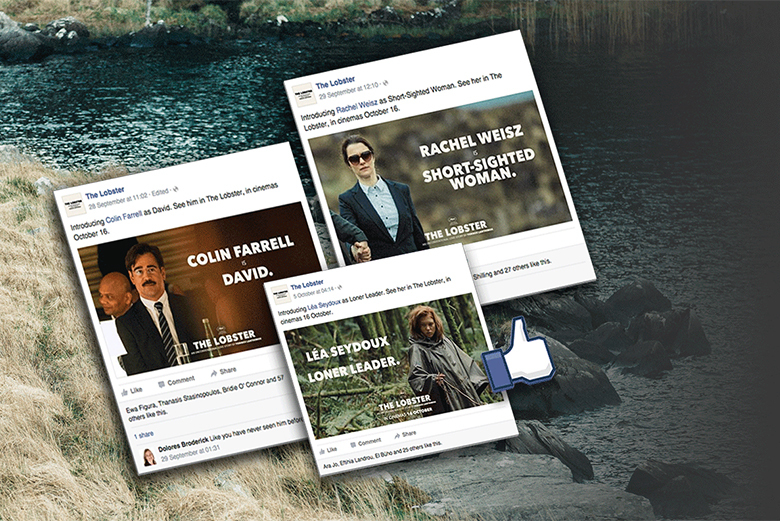 The 'announcements' were well received by fans across social channels for the BFI, Film4 and The Lobster, providing a great talking point for social and a place for users to share from and start their own debates around the themes. We put cinemagoers in the place of the characters and asked them what they would be if they had to choose. We gave them some help though and created a darkly dangerous quiz that starts off restrained and ends with some evocative questions that really get to the heart of the user's psyche. Within the first 6 days, over 50,000 users completed the Facebook App. 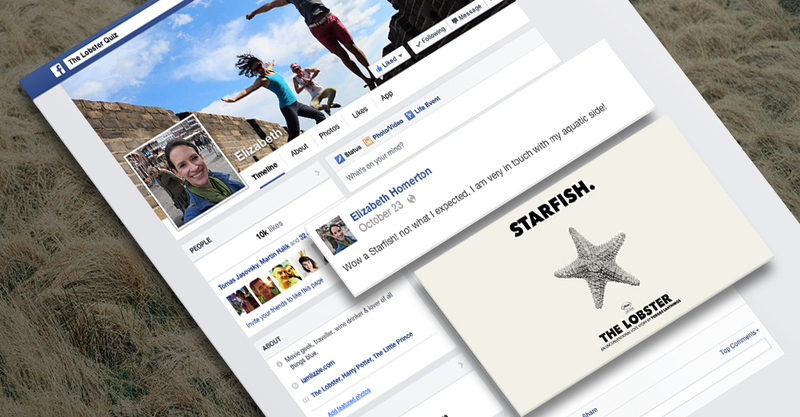 Each completing and sharing their results across their profiles, creating an even wider reach of organic likes and sharing.